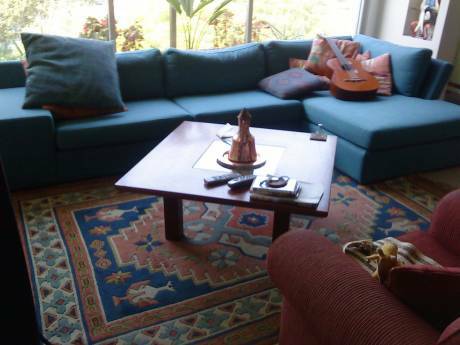 A four rooms apartment in a quiet neighbourhood in the center of Tel Aviv. Our home has three bedrooms and one livingroom. The kitchen is on open space connected to the livingroom. 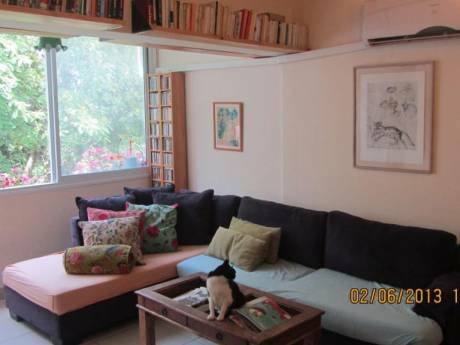 It is a very lighted apartment and is ecquiped with air condition for the hot summer days. The apartment is on the second floor with no elevator. There is also a small balcony which is connected to one of the bedrooms. We are a couple with three children (our oldest daughter 14, our son 10 and our little daughter 4 years old). I am a special education teacher and my husband works as a teacher in the Feldenkrize method. We love travelling especially in the nature. We like living in Tel Aviv because it offers such a huge variety of activities, and it's a fun place to live in. I am allergic to cats so unfortunately, I can't exchange homes with cats owners. 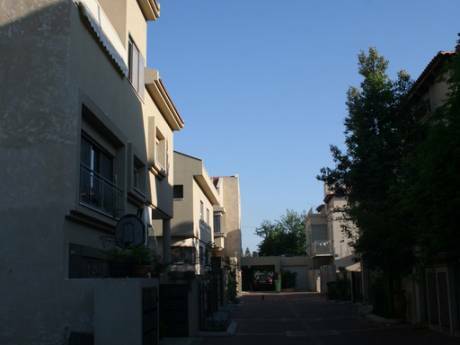 Our apartment is located in a central yet quiet neighbourhood in Tel Aviv. It is very close to the Tel Aviv Museum, the Opera House and many interesting places to visit. It is a 20 minutes walk from the sea shore. There is also a big variety of places to hang out like restaurants and trendy bars, all accessible by walking.